Mature Dogwood in Shiloh Battlefield, Tennessee. 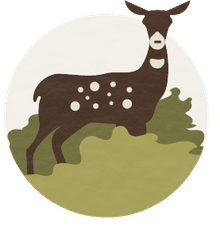 It has been determined by the United States Forest Service that nearly 80 percent of the U.S. population lives in urban areas that have developed a dependent relationship with the social, economic, and ecological systems near cities and suburbs. Although quite different from wildland forests, these urban forests have many challenges associated with healthy growth just as rural forests do. A large part of urban forest management includes planting the right tree for the appropriate site. The distribution of urban tree cover and the benefits of urban forests will vary across the United States and requires addressing the challenges of sustaining this important resource with the best trees for every site's potential. Overcup Oak or Quercus lyrata: Actually, most oaks are great in urban settings, but many are very slow growers, Overcup oak is also slow but quickly reaches 40'. It is recommended to plant in all but the Northcentral states. Red Maple or Acer rubrum: This maple is a ubiquitous, wide-ranging, native tree. It adapts well to most soils and sites and thrives under urban conditions. It also is an early harbinger of fall as it turns color well in advance of most eastern deciduous tree species. White Oak or Quercus alba: This is the other oak recommended and can be planted in nearly every state in the US. It is similar to lyrata and easy to find in most nurseries. Green Ash or Fraxinus pennsylvanica: This tree is native to eastern North America and common west to Wyoming and Colorado but will grow in every state in the U.S. The tree is fast growing on moist sites and hardy once established. It is best grown as a single tree with adequate room to grow but to be avoided where the emerald ash borer is endemic. Crapemyrtle or Lagerstroemia: This small tree is the most common southern street and yard tree planted in a wide range that encircles the US from New Jersey through the deep South, Texas, Southern California and to the Pacific Northwest. There are cold hardy varies like Northern Crapemyrtle, Lagerstroemia indica that can be planted through zone 5. 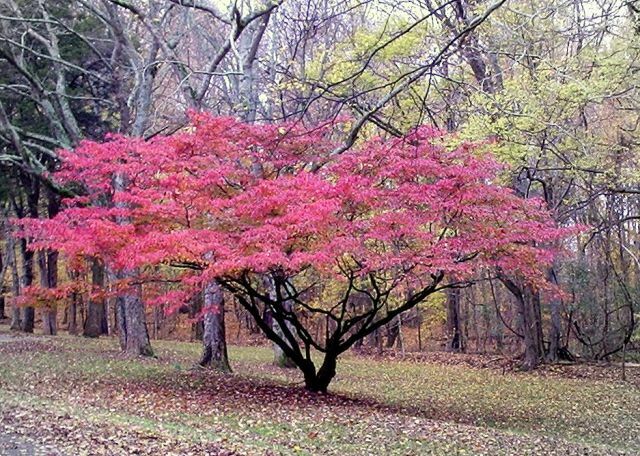 Dogwood or Cornus florida: This small showy all-season tree is possibly the favorite of yards and parks in all of the United States (with the exception of the middle upper western states). Japanese Maple or Acer palmatum: These trees have extraordinary shapes and are very popular in yards and open landscapes. As with dogwood, they are not hardy in the middle upper western states. Baldcypress or Taxodium distichum: This tree is becoming the most popular tree in urban landscapes. It is hardy in all but the driest of states. Urban and city forests are an essential component of America’s “green infrastructure” which makes the care and management of these city trees extremely important. Having the wrong trees (many of which are invasive), when added to natural (insects, diseases, wildfire, floods, ice and wind storms) and social problems (over development, air pollution, and inadequate management) makes for challenges as urban expansion continues. Mimosa or Albizia julibrissin: short-lived and very messy in any landscape. Leyland Cypress or Cupressocyparis leylandii: quickly outgrows space, short-lived. Lombardy Poplar or Populus nigra: canker-prone, with litter and short life. Popcorn tree or Sapium sibiferum: invasive tree species. Chinaberry or Melia azedarach: Invades disturbed areas to become thickets. Royal Paulownia or Paulownia tomentosa: Invades disturbed areas to become thickets. Bradford Pear or Pyrus calleryana "Bradford": Invades disturbed areas to become thickets. Tree of Heaven or Ailanthus altissima: Forms dense, clonal thickets, highly invasive.